Chaos unfolded over the weekend betweenMark Winterbottom and Jamie Whincup, showing while there may be Nissansand Mercedes’ in the Championship, the Ford and Holden battle is still well alive. Both played down the idea of being the nextbig rivalry in V8 Supercars, though each had strong words after Race Eight atthe weekend’s ITM 400 Auckland, the third event of the championship. The two started side by side in positionsone and two on the grid, and while Whincup got a huge jump off the line, SafetyCars followed and bunched up the field. The battle was on. There was contact – which Whincup was docked 15 Championship points for – and when Winterbottom’s race was over with steeringdamage, Whincup’s ended shortly after, when his foot slipped off the pedal andhe went straight ahead into a gravel trap. The day before in Race Seven, Winterbottomdived for the race lead, attacking Whincup’s car on the last lap and ending upsecond best when both went off the road but the Red Bull Racing Commodorecrossed the line for the win. Given the two have raced one another since theirkarting days, they are used to battling and aren’t afraid to speak frankly. 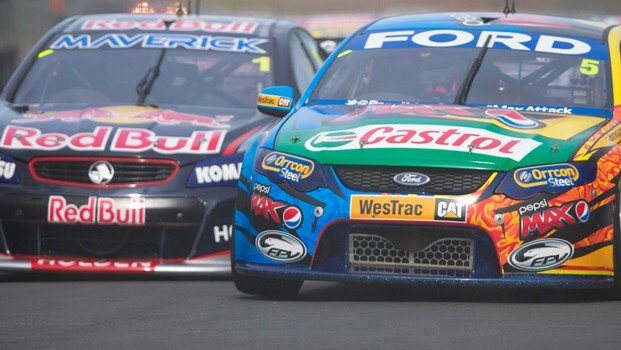 Will the pair be V8 Supercars’ next biggestrivals? “I don’t know – no, no, no,” Whincupsaid. “I don’t really like it that aggressive but he’s (Winterbottom) decidedthis year he’s going to get aggressive with everyone hence his big T-bone inthe door yesterday. “You get what you give and of course we’regoing to be aggressive back until he decides to calm down a bit, and then we’lldo the same. But you can’t expect to plough into someone’s door at 150km andget away with it. 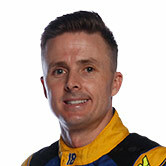 “From the beginning (of Race Eight), I gota reasonable start, Frosty got a good start and I was second into turn one. We had good pace early. “Pushing hard we were able to gap the fieldand were on the pace early. That’s when the Safety Car came out and bunched usall up again. 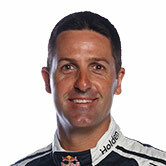 “I had a lunge at Frosty at the hairpin andgot through, but got passed again by Fabian (Coulthard). And then it was amatter of trying to race and get back up to Fabian again, who actually hadquite good race pace. Winterbottom believes there’s going to beanother incident between the two down the line. After the contact made in RaceEight, the steering rack had to be changed in his Falcon. “There’s obviously a few battles out there,which I’m sure aren’t going to finish just at this track,” Winterbottom saidbetween Sunday’s two races. “At the moment I’m nowhere in the points sothe guy who’s battling with me is second in the points, so it’s hurting memore, but it could change. “I drove away from him, he was slower, Ileft him behind and when the Safety Car came out it bunched us up. I drove awayagain and the next Safety Car came out, and he hit me in the rear and diveddown the inside. “It was his only chance to pass me becausehe wasn’t quick enough, so he tried to do it on that lap. In response to Whincup’s call Winterbottomwas driving aggressively, the Ford driver said: “My car feels good, so when youfeel quick and you’ve got an opportunity to pass you obviously do it. “It’s not something you set out to do – winor bin it – but the car’s very fast and when you’ve got a fast car you try anddo it. “He’s got quite a short memory I thinkbecause he’s done it to people for years. “Some people get out of his way andothers don’t… But keep trying to win races; that’s what you’ve got to do. After the third event, Winterbottom is 11th inthe points while Whincup is second – Winterbottom finished 24th in thefinal race of the weekend after another tyre failure and Whincup came home inthird, behind winner Jason Bright and second-placed Garth Tander.